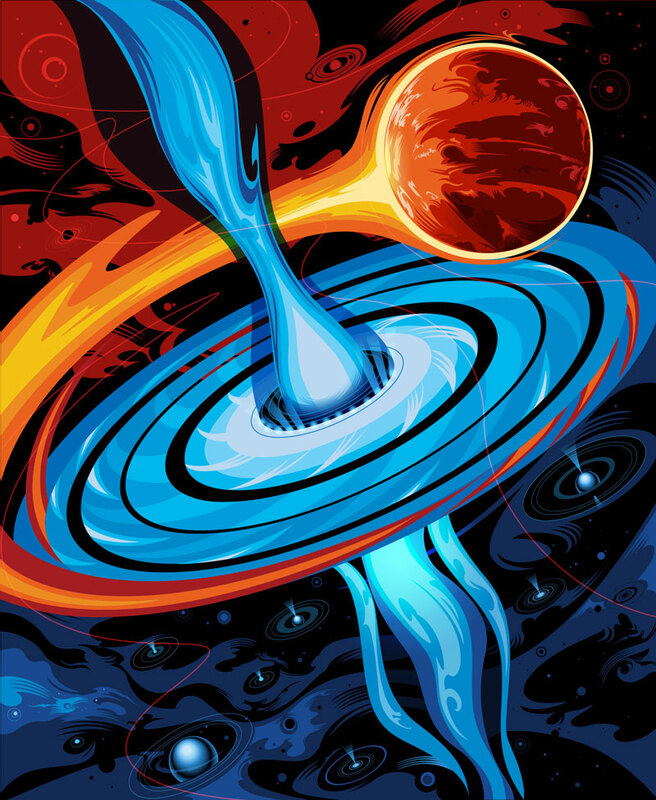 There are a few things you should know about black holes: First, they are anything but empty. Simply put, a black hole is an area in space where the gravity is so strong that even light cannot get out. Second, they exist in every galaxy and come in different sizes — the biggest being supermassive black holes, which have masses of more than a million suns combined. And even with the most advanced telescopes, scientists have had a hard time finding a direct way to observe them. Until now. Cackett and the rest of the team made MAXI J1820+070 (J1820 for short), a recently-discovered black hole located 10,000 light years from earth, the focus of their study. To monitor this far-away spot, the astronomers relied on NASA’s Neutron Star Interior Composition Explorer (NICER), which resides aboard the International Space Station. NICER was the ideal choice because it is sensitive enough to pick up on even the slightest changes. This sensitivity allowed NICER to observe neutron stars, which are faint and dense. When a neutron star falls into a black hole like J1820, winds of hot gas are swallowed, and something called an accretion disk is formed. Gravitational forces heat this disk to a temperature of tens of thousands of degrees Celsius which can prevent other stars from forming. Cackett identifies this process as black hole feedback. Finding ways to track the various changes and ways that J1820 consumed matters around them was a priority for researchers. One tracking method they used was reverberation mapping — a process that maps X-ray reflections around black holes, similar to how a sonar uses sound waves to map underwater terrain. “Essentially, we are looking at matter right before it is consumed by J1820,” Cackett explains.